Mike Ragogna: John, your latest is titled Best — not a “Greatest Hits” per se, but more of an overview of what you felt was your best material on your terms. A lot of the package is made up of live renditions and a couple of re-records. What motivated you to do a project like this? 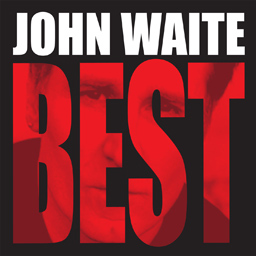 John Waite: Last December, I was wandering around Beverley Hills and it was raining and it was Christmas, I was doing some Christmas shopping and I got caught in the rain. I walked past a Richard Avedon photography exhibition and I went in, to get out of the rain, really. I’m more of a David Bailey guy when it comes to sixties photography. I worked with David for one of my album covers. I’ve always been interested in art and photography and painting, a lot of different forms of art, so it was great to get out of the rain. I thought, “Avedon, I’ll give it a shot,” you know. It was very high fashion, very sixties, very period, you know, and there’s this one wall that was covered in small framed portraiture, really, everybody from Janis Joplin to Mick Jagger to Elizabeth Taylor to Jean Shrimpton, all sorts of different people. I was stood there looking at it and it just came to me, “What would it sound like if that was music?” If it was a history of my work, what would it sound like? From there on I was making mental notes about how to go about it.